2nd International Conference on Food and Beverage Packaging (Food Packaging) to be held during June 13-14, 2016 at Rome, Italy. 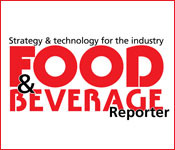 The prestigious International conference on Food & Beverage Packaging to address latest innovations, industrial & modern technologies in food & beverage packaging, consumer trends, and differentiation in market report. Food Packaging 2016 is the premier event that brings together a unique international mixture of experts, researchers and decision makers both from academia and industry across the globe to exchange their knowledge, experience and research innovations to build a better world of Food Packaging Experts and Food Technologists. Innovative options that run the gamut from eco-friendly packaging to designs greet today’s consumers that actually assist in the food preparation process. For selecting the correct container and Packaging materials for manufacturers so much consideration and science are working. Damage or contamination by micro-organisms, air, moisture and toxins are protected by packaging. Product spilling or leaking. Nutrition are prevented by Packaging, ingredients and sell-by dates are important to the consumer and grocery stores as well. Bar codes has been helping stores to track inventory and sales. Food Packaging has been playing such an important role in the preservation and marketability of a product, many companies are seeking a contract packaging service to help them obtain the best quality packaging available. A co-manufacturer benefits by cost, speed, quality and innovation. Reinventing the Food and Beverage Industry, May 9-10, 2016, New Orleans, USA; 2nd International Conference on Food Safety and Regulatory Measures June 06-08, 2016, London, UK; 9th Euro- Summit on Food & Beverages, July 11-13, 2016, Cologne, Germany; International Conference on Food Microbiology August 08-10, 2016, Birmingham, UK; 11th Global Summit on Food & Beverages September 22-24, 2016 Las Vegas, USA; 15th International Conference on Food Processing & Technology November 07-09, 2016 Istanbul, Turkey; Global Food and Beverage Packaging Summit, July 12-13, 2016 Chicago, USA; 17th IC Packaging Technology Expo January 13-15, 2016 Tokyo, Japan; The Packaging Conference February 8-10, 2016 Las Vegas, NV, USA; Food Pack Asia 2016 March 3 , 2016 Thailand, Bangkok; 10th Annual American Food Technology Summit June 8-10, 2016 Chicago, USA; Nutrition Conferences Europe June 16-18, 2016 Holiday inn Rome- Aurelia, Rome. The increased demand on product safety, shelf-life extension, cost efficiency, enviromental issues and customer convenience food Packaging is developed strongly during recent years. Active and Intelligent packaging systems are developing ,the performance of packaging in meeting the varied demands improved by innovative modified and controlled-atmosphere packaging.The traceability, tamper indication, and sustainability. Products with fewer synthetic additives are increased by food packaging but it increases safety and shelf-life of consumers demand.The importance of natural antimicrobials which reduced the growth of pathogenic and spoilage micro-organisms are increased by consumers demand.The major new development in the food industry is emergence of ‘minimal’ processing techniques, which have limited impact on a food’s nutritional and sensory properties, which is a major new development in the food industry. The food and beverage markets represent the largest consumption group for packaging materials and machinery. Sales for one top growing segment alone—pet food packaging—are expected to reach $2.5 billion in 2018 in the U.S., according to market research firm Freedonia Group. And growth in beverage packaging market is projected at a healthy compound annual growth rate (CAGR) of 4.4%, to hit $131.1 billion by 2019, according to analysis by Markets and Markets. Packaging machinery consists of equipment for uses such as canning; container cleaning, filling, and forming; bagging, packing, unpacking, bottling, sealing and lidding; inspection and check weighing; wrapping, shrink film and heat sealing; case forming, labeling, marking, and other product identification machines and encoding; palletizing and depalletizing, and related uses. Food & beverage industry comprises of ample varieties and those varieties require different types of packaging techniques as Beverages needs consistent seal integrity for greater protection against leaks and Dairy products requires to retain freshness and flavor in their packaging. 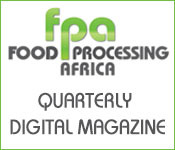 Manufacturers of food processing and packaging equipment are being driven to offer a broader selection of products at lower costs and supplement their offerings with smart technologies, design and other services. Packaging logistics is a multidisciplinary approach, integrating the packaging system and logistic system to enhance the efficiency and effectiveness of the entire supply chain. The design principles for sustainable packaging can be summarized as effective, efficient, cyclic and safe. Research and development spending, along with increasing competition, patent expiries and new technologies are leading the market in a new direction. The overall revenue for the market increased from 2011 to 2013 due to new advancements, new product launches and changing lifestyles, which will all influence market growth in the foreseeable future. Nanomaterials are increasingly being used in the food packaging industry due to the range of advanced functional properties they can bring to packaging materials. Nanotechnology-enabled food packaging can generally be divided into three main categories - improved packaging, active packaging, intelligent/smart packaging. A coating of metal or glass, which are totally impermeable to gases, would prevent this from happening - this is obviously impractical however, as it would reduce flexibility, and would be much more expensive than plastic packaging. This is where nanotechnology comes to the rescue - a coating of clay nanoparticles just a few nanometres thick is sufficient to create an impermeable layer, without compromising on flexibility or adding a great deal to the cost. The most active area of food nanoscience research and development is packaging: the global nano-enabled food and beverage packaging market was 4.13 billion US dollars in 2008 and had been projected to grow to 7.3 billion by 2014, representing an annual growth rate of 11.65%. Food waste is prevented and resources are preserved with effective food packaging designs. This is why flexible food packaging like tetra pack is growing in popularity among consumers. Its light weight, increased shelf life and creative graphics are all advantages that greatly benefit the buyers. Consumers are looking for food in packages that are easier to open. Sustainability is a driving force among many food and beverage producers, providing food that suits the consumer's evolving values around sustainability. Consumers expect F & B products to be natural, healthy and tasty at the same time. Consumers also expect packaging to reflect their changing lifestyles. Smaller, individual on-the-go formats are better suited to the lifestyles of today’s more mobile generation, while larger multi-pack formats are ideal for the separate habits of today’s bigger families. When introducing new product to consumers it need to display originality in the packaging design. Consumers look for packaging that is visually pleasing and representative of the actual product. The package should demonstrate the company’s ability to uniquely display the product through colour, size, and logo. Effectively balancing innovation with cost-efficiency keeps the consumer’s needs at the forefront while still remaining effective in demonstrating the product and its benefits. Today’s packaging professionals must account for how a package must function, who is to use it, and what is the easiest and most suitable format for reuse, recycle, or refill. Innovation need to be managed with cost effective packaging. Many consumers in the United States and Europe become more concerned with the global impact of their purchases, companies are meeting new concerns with more recycled materials and biodegradable materials. Growing awareness about environmental issues. Consumers search for new products and experiences tailored to their needs. Health awareness is going mainstream nowadays. The growing need for reassurance that products are trustworthy when food safety is at risk. Convenient products becoming a key need for 'on-the-go' consumers looking for instant gratification. The growing influence of healthy and sustainable life, diet watching, consumer packaged goods, aging boomers and smaller households and the need for fresh and non-processed foods are among the factors driving the shift in what and how consumers eat. Italy is the 4th largest food and drinks manufacturer in the European Union (EU) and Italy’s food and drinks industry is the country’s second-largest manufacturing sector. It accounts for about 12% of GDP and had a total sales value of US$168 billion in 2008. Italy is a significant producer and exporter of food and beverage products. The main exports are wine, pasta, canned tomatoes, cheese and olive oil. In 2007, F&B exports were worth an estimated US$26.1 billion, while imports were worth US$20.5 billion. Products with potential demand trends in the Italian market are organic foods, functional foods and low fat food products. Coop Italia is the largest supermarket chain in Italy and Esselunga is the main one in the north-west, and is a leader in terms of quality of products and service. Esselunga is also strong on private label ranges of products. Gradually changing food habits and two working parents are increasing the demand for frozen and easy to prepare products. A gradual increase in female participation in the workforce is likely to raise demand for convenience and packaged food as well as eating out. The economy plays a central role in influencing the size and growth of the market. In the packaging market, a great deal of attention has been devoted to ensuring that the offer responds to the demands of particular demographic segments, and takes into account the ageing boomers of the world’s population that is now occurring. Lifestyle trends are positive, encouraging innovation and expansion of chilled cabinet selections in supermarkets. Consumers are becoming increasingly demanding and short of time, seeking out convenience food solutions that represent an advance on more traditional processed foods. The expectations of food quality are rising and growing awareness of health and other issues present new challenges to retailers, packers and packaging suppliers alike. Bio-based food packaging materials are derived from renewable sources and are potentially biodegradable that is composting (which is a technique for waste management). Bio based packaging materials include both edible coatings and edible films along with primary and secondary packaging materials. At the turn of the last century most non-fuel industrial products; dyes, inks, paint, medicines, chemicals, clothing, synthetic fibres and plastics were made from bio based resources. During the last years, the leading world research teams have been working on developing new biodegradable and edible packaging based on renewable biological sources, the so called “regulated life cycle materials”. By the 1970s petroleum derived materials had, to a large extent, replaced those materials derived from natural resources. Recent developments are raising the prospects that naturally derived resources again will be a major contributor to the production of industrial products. Bio based /green polymers in food packaging are the wave of the future. The Scientific challenge is to find such applications and thus to create the demand for large scale production of biopolymers/ biomaterials that would help in attaining the sustainable development of green materials in contrast to petroleum. ConferenceSeries Ltd feels honoured and glad in inviting the contributors across the globe to its premier “International Conference on Food and Beverage Packaging (Food Packaging 2016)” to be held during June 13-14, 2016 at Rome, Italy. 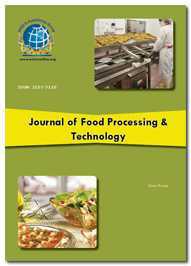 The previous Food Technology conferences were held at Kansas city-USA 2013, Vegas-USA 2014, and London-UK 2015 and had achieved a grand success. Now it is the time for the prestigious International conference on Food & Beverage Packaging to address latest innovations, industrial & modern technologies in food & beverage packaging, consumer trends, and differentiation in market report. Food Packaging Conference is the premier event that brings together a unique international mixture of experts, researchers and decision makers both from academia and industry across the globe to exchange their knowledge, experience and research innovations to build a better world of Food Packaging Experts and Food Technologists. ConferenceSeries Ltd organizes 3000+ Global Events inclusive of 600+ Conferences, 1200+ Workshops and 1200+ Symposiums on various topics of Science & Technology across the globe with support from 1000 more scientific societies . Food Packaging Conference, the unique International Conference on Food & Beverage Packaging will be an interdisciplinary forum for exchange of knowledge on the traditional and advanced technologies in the field of Food & Beverage Packaging. The interesting topic includes innovation in Food Packaging - Importance of Food Packaging, Food Packaging Testing, Novel Food Packaging Technologies, Food and Beverage Packaging Machinery, Packaging Tools, Nanotechnology in Food Packaging, Emerging Trends in Food Packaging, Cost -effective Packaging Innovation, Consumer Trends in Food Packaging, Food Packaging industry Scenario in Italy, Market Differentiation: Growing and Mature, Future of Innovation: Bio-based Packaging. Rome is the capital of Italy; it is also the country’s largest and most populated commune and fourth-most populous city in the European Union. The city is located in the central-western portion of the Italian Peninsula, within Lazio (Latium), along the shores of Tiber River. Rome is a sprawling, cosmopolitan city with nearly 3,000 years of globally influential art, architecture and culture on display. We look forward to an exciting scientific event, business meeting, trade fair and exhibition in the beautiful city of Rome, Italy. The International Conference on Food and Beverage Packaging (Food Packaging-2016) to be held during June 13-14, 2016 at Rome, Italy. The conference will focus on “Innovation Drive in Food and Beverage Packaging”. Food Packaging-2016 is the premier event that brings together a unique international mixture of experts, researchers and decision makers both from academia and industry across the globe to exchange their knowledge, experience and research innovations to build a better world of Food Packaging Experts and Food Technologists. The unique International Conference on Food & Beverage Packaging will be an interdisciplinary forum for exchange of knowledge on the traditional and advanced technologies in the field of Food & Beverage Packaging. OMICS International organizes 1000+ Global Events inclusive of 600+ Conferences, Workshops and Symposiums on various topics of Science & Technology across the globe and Publishes 700+ Open Access journals. Food Packaging 2016 welcomes attendees, presenters, and exhibitors from all over the world to Rome, Italy. This meet enables a common platform for the participants to discuss their research in order to establish a scientific network between the academia and industry leading to foster collaboration and to evaluate the emerging issues, technologies and innovations leads to explore new possibilities and improving the existed opportunities. The food and beverage markets represent the largest consumption group for packaging materials and machinery. Food and beverages packaging provides protection, tampering resistance and special physical, chemical, or biological needs for the food and beverages. Further food packaging aids food nutrition, rapid and reliable distribution of food among the value chain and reduces post-harvest losses. The different types of packaging materials use in the food and beverages industries are rigid plastic packaging, flexible plastic packaging, paperboard packaging, leather packaging, wood packaging, earthenware packaging, vegetable fibres and textile packaging, metal packaging, beverages cans, aerosols and glass. The major application of these packaging materials in beverages industry is found in beer packaging, carbonated soft drinks (CSD) packaging, energy drinks packaging, ready to drink ice tea packaging and alcoholic drink packaging. It is often observed that single product may require more than one type of packaging. The food packaging market is closely linked to the economic prosperity of a country and its GDP growth as well as being linked to the developments within the food production industries. Food packaging is also linked very closely to the social changes of a country and the lifestyles led. 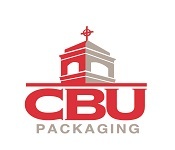 The global packaging industry reports an annual turnover of about US$500 billion. Of this, packaging containers account for the highest share and the other major segment is that of packaging machinery, pegged at about US$25 billion. The market for beverage packaging is projected to reach $131.1 billion by 2019 at a CAGR of 4.4%. Until a decade ago, North America was the largest stakeholder in the global packaging market with a significant 32% share, states the World Packaging Organisation. The North America region was considerably larger than Asia and Europe, both of which accounted for 26% of market shares. The United States has for a long time been the largest national market in the global packaging market. But this changed as China is fast outpacing the world’s largest economy in various packaging segments such as food and beverage packaging, pharmaceutical packaging, liquid packaging containers, and other forms of rigid and flexible packaging materials. The sales of packaging are concentrated in Asia, which accounted for 36% of the total in value terms in 2012. North America and Western Europe totalled shares of 23% and 22% respectively. In 2012, Eastern Europe was the fourth largest consumer of packaging with a global share of 6%, closely followed by South and Central America with 5%. The Middle East represents 3% of the global demand for packaging, while Africa and Australasia each have a 2% share. According to the study, this segmentation of the market is expected to change significantly by 2018; Asia is predicted to represent over 40% of global demand, while North America and Western Europe lose out noticeably. The flexible food packaging market in North America will grow at a CAGR of 5.72% during 2014-2019. Flexible Food Packaging Market in North America 2014-2019 is based on an in-depth market analysis, with inputs from industry experts. Flexible packaging is a non-rigid method of packaging. The process uses flexible or easy-yielding materials that can easily change shape based on the nature of the product being packaged. Flexible packaging materials include plastic, aluminium, and paper. The materials undergo detailed conversion process including printing, lamination, coating, and extrusion, to turn into varied types of flexible packaging products, such as plastic bags and pouches, lidding films, foils bags, and sachets. During the period of 2010-15 packaged food and drink consumption in Europe is projected to grow by 2% per annum, to exceed an annual volume of 864 billion packaging units by 2015, 80 billion more than in 2010. The packaged food and drink consumption in Europe is projected to grow by 3% per annum to 953 billion packages by 2020. The demand for fresh food packaging has increased exponentially in recent times; particularly because of increasing health awareness concerns, emphasis on the quality of products and services, and the convenience of carrying packaged fresh food are the drivers for this market, especially in the European countries. The European Fresh Food Packaging Market is projected to reach USD 10,578.6 Million by 2020, with a CAGR of 2.13% from 2015 to 2020. The Beverage Packaging market is expected to witness steady growth in terms of volume with a CAGR of close to 4 percent between 2015 and 2019. Western Europe leads the Beverage Packaging market in terms of revenue generation and sales of packaging products. The demand for packaging solutions is growing because of the increase in beverage consumption. In addition, the growing innovations in the market are encouraging business consumers to look for advanced and high value-added packaging products and solutions. The retail sector has seen stronger packaging penetration rates, growing from 63.0% in 2010 to 66.0% in 2014, with key areas including fresh fruit and vegetables, fresh meat and fish, chilled foods and baked products. This has largely been due to an effort to reduce food waste, but also for ready-to-eat or convenience based products such as cakes and pastries, cereal bars and ready prepared chilled foods. The overall beverage packaging market is anticipated to register a healthy single-digit CAGR of 3.3% during the forecast period to reach US$ 257,547.9 MN by 2025. High-end innovation from manufacturers in design, texture, feel and size of packaging products are key attributes fuelling market growth. Increasing trend towards aseptic, portion and sustainable packaging worldwide is also driving market growth. The global beverage packaging market accounted for around US$ 181,150.9 MN in terms of value in 2014. Region-wise, Asia Pacific Excluding Japan was the largest market in terms of revenue with over 25.6% market share in 2014. The region clearly tops the list due to its huge customer base and improving economic condition. The Middle East and African flexible Packaging industry, which accounts for around 5% of the world market, has the potential to experience the same significant growth as India. The economy of the Middle East countries grew from 3% to more than 5% in 2012 and the inflation rate has remained relatively constant. This gives the consumer more money in hand to spend on products from the markets. Packaging and Lifestyle issues go hand in hand. Middle East has one of the highest GDP per capita, so the consumers have more disposable income to spend on e-commerce retail, luxury retail and retail in stores. With the increase in sales of products the packaging market will be growing to cater to the needs of both the consumers and retailers. Countries like Qatar have GDP per capita more than $100,000 so as the purchasing power increases so does the packaging market. Africa is on the rise. Economy, for the most part, is booming given the relatively stable political scenario in the region. Africa's GDP growth from 4.7% in 2013 to 5.2% in 2014 and the FDI growth of 16%, reaching $43 billion in 2014, show a positive economic trend. Italy held the largest market share in Europe non-alcoholic drinks market followed by France. Italy is the 4th largest food and drinks manufacturer in the European Union (EU) and Italy’s food and drinks industry is the country’s second-largest manufacturing sector. Italy had a gross domestic product (GDP) of US$2.07 trillion in 2013, which is expected to grow by 0.5% in 2014 and by 0.9% in 2015.. The packaged food market in Western Europe was worth over US$587 billion in 2010. Germany, France, Italy, and the United Kingdom were the largest markets, with a combined value of US$367 billion and a market share of over 60%. Annual per capita consumer expenditure was US$20,656 in 2013, with food and non-alcoholic beverages representing US$2,921 or 14.1% of that total. Italy has more than 87 million tourists, making it the world’s fourth most attractive tourists destination. The total food and beverage market in Italy in 2011 was Euro 173.4 billion. In Europe, Italy had a 12.2% share of the market. Handling the total production of the twenty-two sectors monitored by Istituto Italiano Imballaggio in the food area involved the use, in 2010, of approximately 2,716,000 tons of packaging. According to estimates by Istituto Italiano Imballaggio, the values indicated above represent approximately 70-75% of the use of packaging of the entire food sector. The packaging use growth trend during the last thirty years, again referring to the sectors monitored, has a yearly average of 0.8%, compared to the food sector’s yearly average of 0.5%. - the positive development of some sectors, such as ready meals, frozen foods, etc. The turnover of food and beverage represent 84.5% and 15.5%, respectively. In the food area (104.797 million euro), the milk and dairy sector presents the largest share with 14%, followed by the confectionery sector with 11.5%, meats processing with 7.6%, pasta with 4.1%, food oil with 4%, frozen foods with 3.9% and vegetable preserves with 3.5%. The remaining 35.9% refers to a wide range of food products. It is important to emphasize that the last few years have seen a trend of progressive growth of so-called “advanced” products (sauces, ready meals, frozen foods, coffee pads, refrigerated ready meals, etc.). In 2010, these products reached a share of circa 10% and show promising growth potential. The European Union was the top export area for Italian technologies in 2014 with 33.1% of the total, corresponding to 1,578.4 million euros, 1.6% up on 2013. The largest volumes of machinery sold in the domestic market for the food and beverage sectors, which accounted for a turnover of 669.6 million euros, 57.1% of the Italian total. Food industry machinery accounted for 31.8% of total turnover and beverage industry machinery 29.5%. The Agriculture and Food Research Initiative (AFRI) funds for non-integrated grants (research only, education only, or extension only) to state agriculture experiment stations, colleges, universities, federal agencies, other research institutions, national laboratories, private and non-profit organizations, and corporations. The National Institute of Food and Agriculture’s (NIFA) collaborates with leading scientists, policymakers, experts, and educators in organizations throughout the world to find innovative solutions to the most pressing local and global problems. 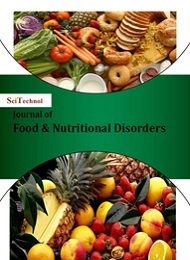 Institute of Food Science & Technology and Food and Drink Federation funds to serve the industrial and research communities by providing high quality refereed original papers in food science and technology. The FSA, together with Defra, BBSRC (the Biotechnology & Biological Sciences Research Council) and NERC (the Natural Environment Research Council) funds for research work. National Institute of Food Federation of US government funds allotted to agricultural, food, and nutrition research amount to ≈$1.8 billion annually (out of a total US Department of Agriculture research budget of $2.3 billion), with most of this focusing on agricultural production; in contrast, $28.6 billion is appropriated to the National Institutes of Health. Department for Environment Food & Rural Affairs are the UK government department responsible for safeguarding our natural environment, supporting our world-leading food and farming industry, and sustaining a thriving rural economy. Joint Programming Initiative on Agriculture, Food Security and Climate Change (FACCE-JPI) brings together over 70 research groups from 18 countries are contributing to this call, which has a budget of €19M of national funding and including a contribution from the European Commission of €4M. The National Research Council (CNR), AITA - Italian Food Technology Association, Slow Food Association and Italy Italian Association of Food Technology (AITA) are the society that funds for food science and technology research work in Italy. Revenues forecasts to 2024 for the overall world food packaging market and 6 submarkets - discover the industry's prospects, finding promising places for investments and revenues. The top five disruptive technologies in flexible packaging are forecast to be intelligent (smart) packaging, recyclability, packaging open ability, bio-based polymers and digital printing. Based on current flexible packaging markets, the centre of attention within the report is inevitably food and beverage packaging, but other applications are considered including pharmaceuticals, household chemicals, medical devices and electronics, together with a wide range of flexible packaging materials including plastics, paper and metal foils. High growth is expected in Europe and North America, as well as in the emerging markets of Asia and Central and South America. USA, Japan, Germany, France, China, UK, Italy, Canada, Spain, Australia, South Korea, Brazil, Russia, India and Rest of the World. The innovation and implementation of smart and active packaging over the next 10 years will be the key disruptive factor affecting the flexible packaging industry. So far, these technologies have been retarded by high cost, consumer resistance to items such as sachets in packaging, and concerns about excessive packaging. However, the deployment of intelligent packaging is expected to become much more frequent with decreasing cost, increasing emphasis on food safety, anti-counterfeiting, new regulations and brand owner/consumer demand. The second most disruptive technology in flexible packaging is recyclability. Because of the small amount of material used in a flexible package, it generates much less waste than other formats. More easily recyclable materials and barrier structures, including monolayers, are expected to be introduced over the next 10 years. 3. Food Packaging Market by Material (Paper & Board, Plastic, Glass, Metal), Type (Rigid, Semi-Rigid, Flexible), Application (Dairy, Bakery, Confectionery, Convenience Foods, Fruits, Vegetables, Meat, Sauces, Dressings) - Global Trends & Forecast to 2019 (September 2014) –retrieved from http://www.marketsandmarkets.com/Market-Reports/food-packaging-market-70874880. The conference was focused on Food Packaging and research in developing new methods of packaging studies with the theme “Innovation Drive in Food & Beverage Packaging”. A series of invited lectures by Keynote Speakers and Honourable Guest on the scientific sessions which include: Importance of Food Packaging, Food Packaging Testing, Novel Food Packaging Technologies, Food and Beverage Packaging Machinery, Packaging Tools, Nanotechnology in Food Packaging, Emerging Trends in Food Packaging, Cost-Effective Packaging Innovation, Consumer Trends in Food Packaging, Food Packaging Industry Scenario in Italy, Market Differentiation: Growing and Mature and Future of Innovation: Bio-based Packaging. ConferenceSeries Ltd offers its heartfelt appreciation to Organizing Committee Members, dexterous of field, various outside experts, company representatives and is obliged to other eminent personalities who interlaced with ConferenceSeries Ltd and supported the conference in every aspect, without which the conference would not have been possible. Your rejoinder is our inspiration; keeping this motto in mind and being witnessed the triumph of Food Packaging 2016, ConferenceSeries Ltd would like to announce the commencement of the “4th International conference on Food and Beverage Packaging” to be held during May 10-11, 2017 Berlin, Germany.We welcome all the eminent researchers, students and delegate participants to take part in this upcoming conference to witness invaluable scientific discussions and contribute to the future innovations in the field of Food Packaging research. I am honoured and delighted to welcome you to the International Conference on Food and Beverage Packaging going to be held during June 13-14, 2016 at Rome, Italy. I am extremely happy that Food Packaging 2016 has been designed to offer. comprehensive range of session that includes Novel Food Packaging Technologies, Nanotechnology in Food Packaging, Cost-Effective Packaging Innovation, Bio-based Packaging. I hope you have a good time and opportunity to connect with expertise from scientific community and influential entrepreneurs through their lectures and presentations and will also put forward many thought provoking strategies on the traditional and advanced technologies in the field of Food & Beverage Packaging. We are looking forward to meet all of you in Rome in June, 2016 to make Food Packaging 2016 a grand success.